Our website is designed to provide information for Property management and of any properties for sale, re-sale and rent in Bulgaria. Our aim is to offer a comprehensive and easy way to use database of good available properties in our country. All listings and ads here are provided by our agents operating in different parts of the country including private vendors offering their property for sale, re-sale or rent. We also offer separate information to help people interested in buying or renting property in Bulgaria. 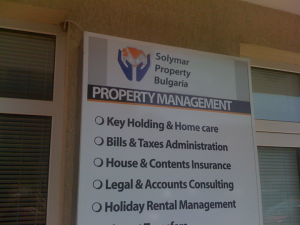 We seek to bring you the best property investment deals available in Bulgaria! Search for property in Bulgaria according to your requirements. Arranging viewings, transportation, and accommodation. Legal work, negotiations, searches etc. we assure you of a professional and dedicated service without any pressure.